The Lower East Side Partnership is inviting visual artists to submit conceptual designs for public seating infrastructure that utilizes jersey barricades. 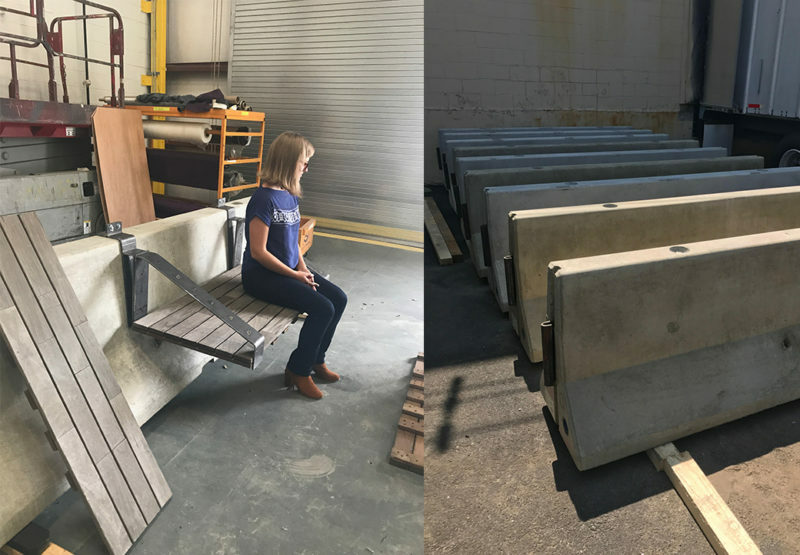 While typically used to separate lanes of traffic in busy roadways, this application will repurpose barriers so that they become specially tailored seating that includes areas for plantings. The seating is currently in a pre-fabrication phase. Prior to full assembly, we seek the installation of pattern-based artwork on each barrier. The barrier will be free from obstruction during the painting process. We are most interested in colorful designs that add visual impact to this seating infrastructure that will be placed in highly trafficked pedestrian plazas throughout the Lower East Side including Straus Square and Division/Canal Streets. Applicants are asked to familiarize themselves with these locations and to create artwork that is inspired by the surroundings. Our community panel will select three to five artists to design seating artwork that will then be installed in each plaza space. Each selected artist will be designated a seating configuration where their bench designs will be placed. The location of each bench is still being finalized so please keep this in mind when conceptualizing your designs. The Open Call is now live and we will be accepting submissions through Friday, March 16, 2018. At the conclusion of the open call, participating artists will be selected by our community panel to translate their designs onto the assigned seating configuration. Each artist will receive $1,000 per barricade, with some configurations containing two to three barricades. This amount includes both supply cost and artist stipend. Please note that all paintable surfaces will be primed prior to installation. Dimensions for individual barriers and configurations are detailed below, submissions should include designs that could be applied to either of the bench configuration types. We have also included a drawing of the front and side of the barrier. Please format your artwork to fit these drawings. For the artwork itself, artists should be inspired by their surroundings and aim to come up with creative that has a connection to the neighborhood. When considering submission concepts, please focus on pattern-based art due to the fragmented nature of the visible portions of the barricades. Please also note that the artwork will need to be installed prior to final fabrication of the seating infrastructure and physical painting of artwork will take place at our fabricator’s warehouse in New Jersey. Selected artists will receive notification on the decision by the end of March. 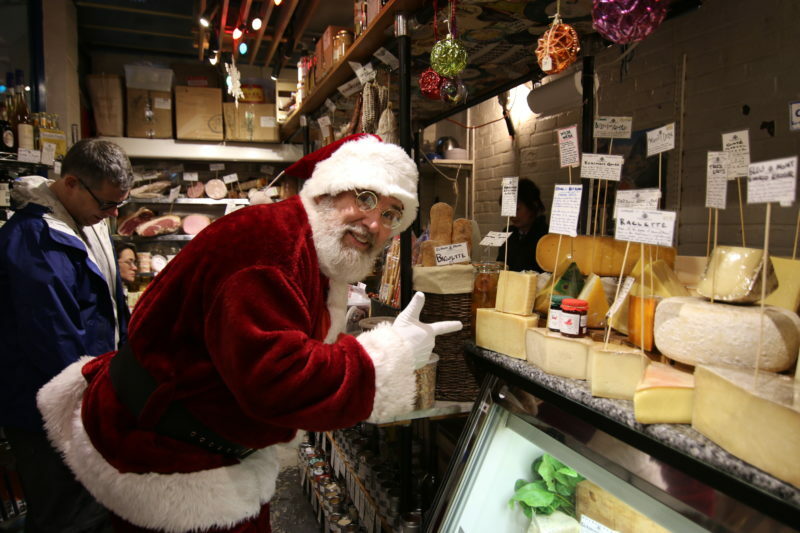 Before you let Amazon take the fun out of holiday gift-giving, consider a visit to the historic Essex Street Market on the Lower East Side. Collude with curators and makers face-to-face on the perfect present for the friends, family, lovers, and fussy clients in your life. Below are just 9 of our top suggestions for unique items, but there’s much more in store at 120 Essex Street. Turns out, the best thing since sliced bread is actually hand-baked, high-quality loaves. 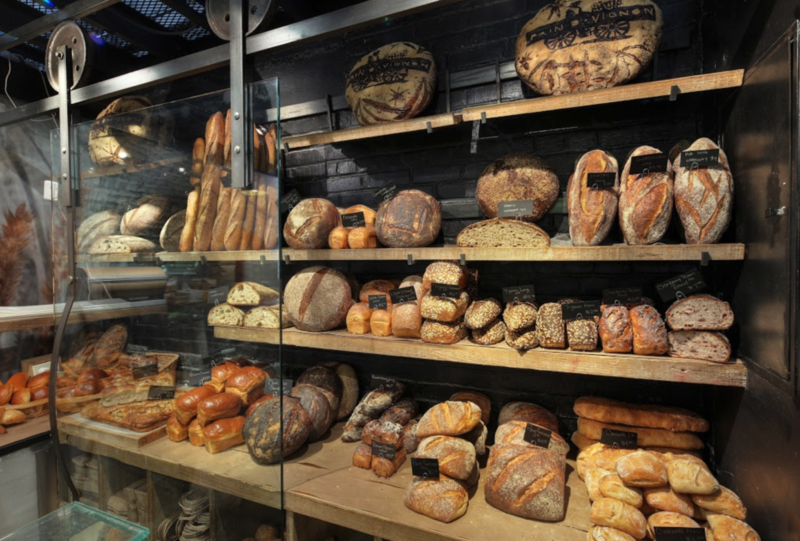 Impress your guests or bring the ultimate party favor with special-order breads from Pain D’Avignon. Airy pull-apart rolls, heavenly sourdough, and perfectly crisp baguettes are just a few of the choices. 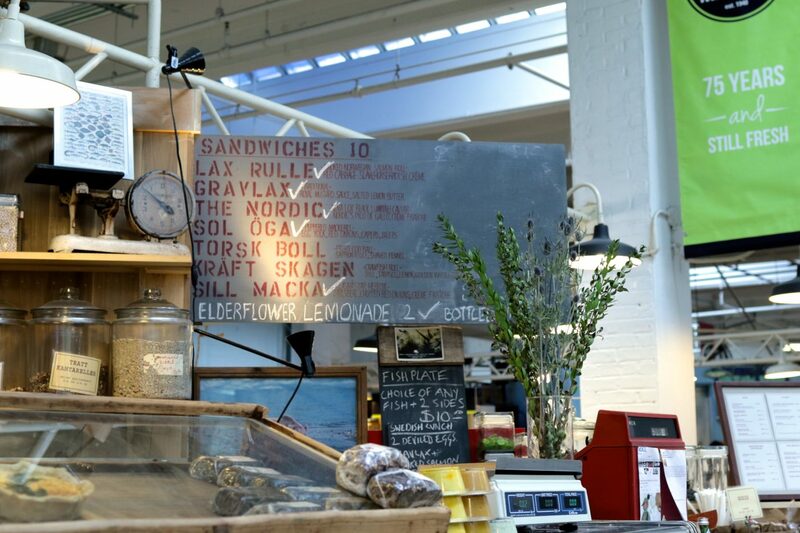 Visit Pain D’Avignon’s shop at Essex Street Market to place your holiday orders! 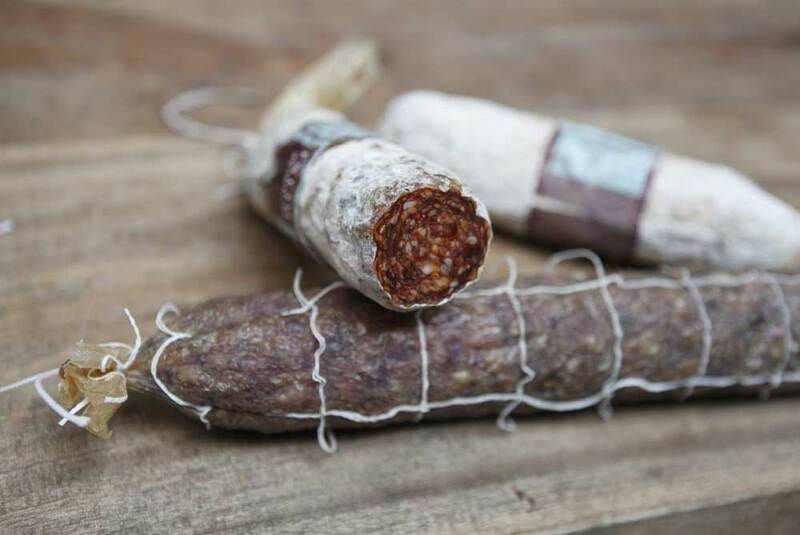 Where to buy: In-person at Pain D’Avignon’s stall, 120 Essex Street. Wouldn’t it be nice if your friends and family remembered your carefully selected gifts year-round? 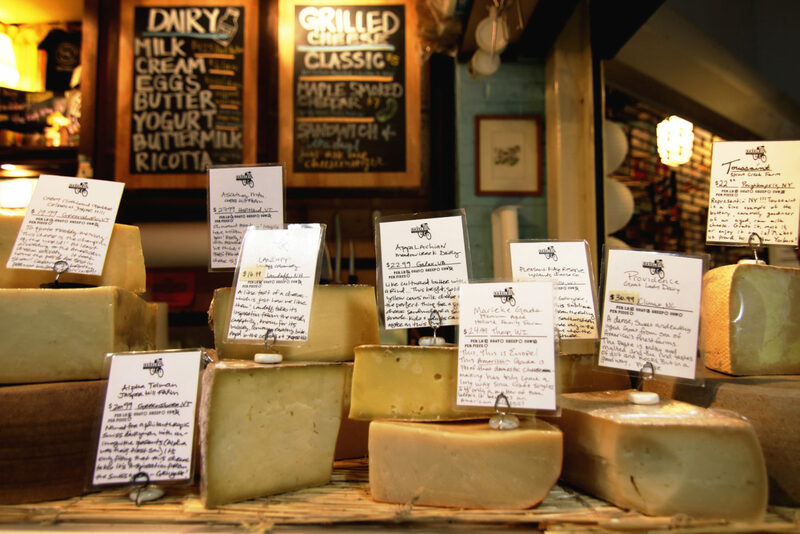 Send them gift that literally keeps on giving with a cheese-of-the-month club! Select from 3-, 6-, or 12-month packages and the cheese lovers in your life will receive carefully crafted queso from American cheesemakers. Note, there is a chocolate and cheese option for the truly food savvy amongst your crew. Shop manager Andrew Clark must be a mind-reader, because his holiday gift baskets compile everything we love about food into one beautifully-presented present. Skip the typical catalog order for clients and far-away family, and have Andrew peruse his collection of truly special products for a unique gift collection. Possibilities include lavender-scented honey, heritage beans, small-batch chocolate, world salt sampler, and more. What does Ellen DeGeneres, Mariah Carey, and Michelle Obama all have in common? They’re the names of I.M. 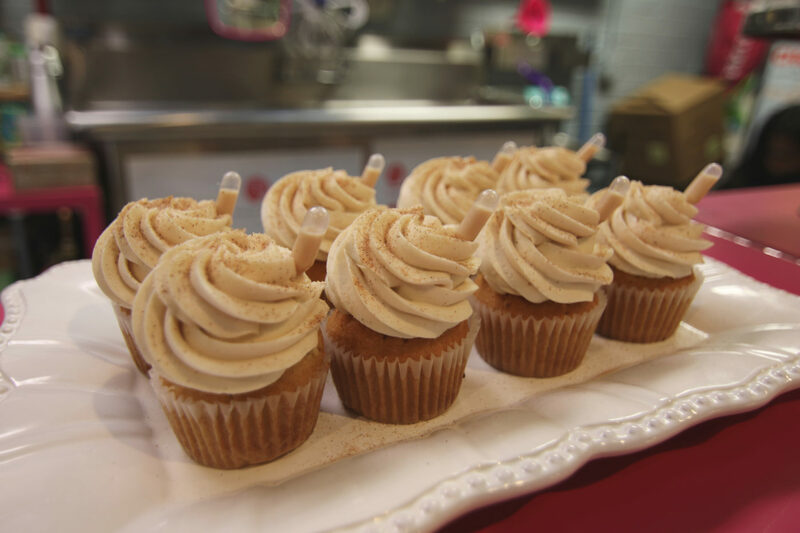 Pastry Studio’s delicious cake and cupcake flavors! Master baker Tiffany Washington names her sweets after women she admires, and you can pay tribute to the amazing women (and men!) in your life by ordering custom-baked cakes, cookies, cupcakes, and more. Nothing says, “you’re amazing” like chocolate buttercream, amiright? They say great things come in threes, and this holiday season Essex Olive & Spice is offering custom 3-pack gifts of specialty olive oil and vinegar. 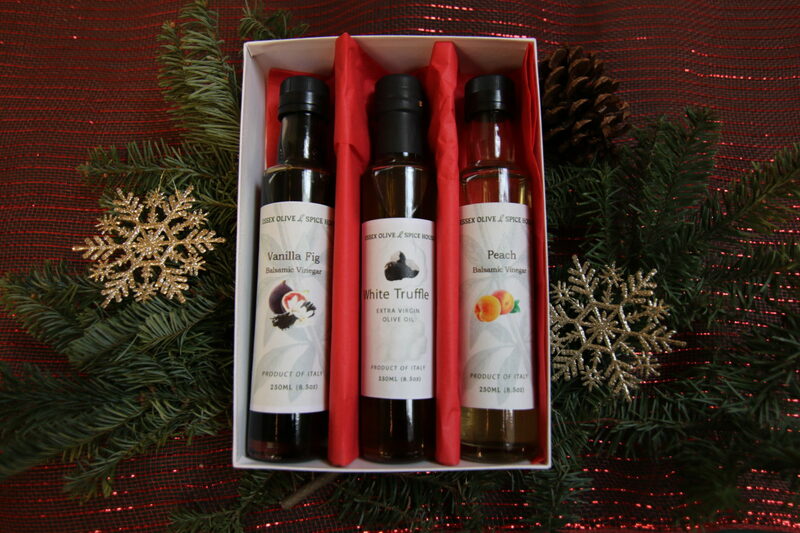 Select from over 20 unique infused extra virgin olive oils and vinegars in wow-factor flavors like white truffle mushroom, blood orange, and habanero pepper. Perfect for all your palate-forward friends. We all know someone who can’t start the day without their daily caffeinated cup. 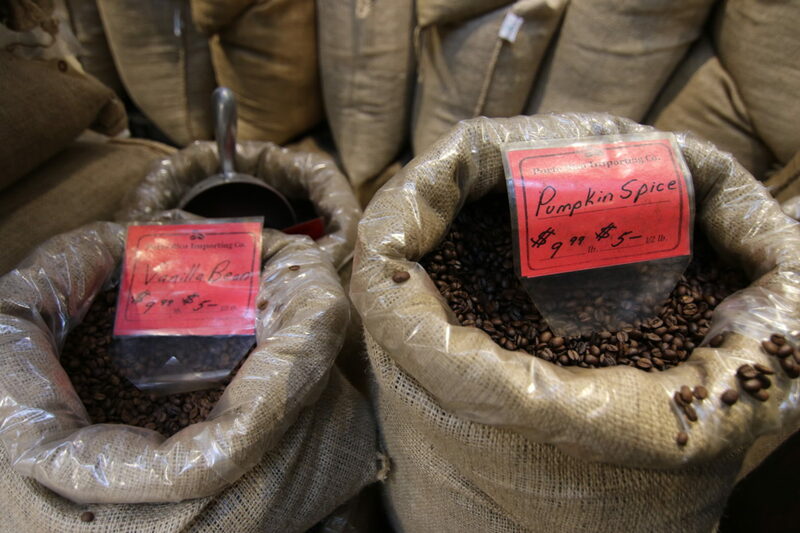 Make their winter merry and bright with a holiday coffee sampler from Porto Rico Importing Co., one of New York’s oldest coffee roasters. You can trust their bean blends to be perfectly balanced, ensuring a smooth and satisfying brew every time. Choose from 8 or 4 sampler packs, with free shipping in NYC on orders over $50. Everyone loves homemade cakes around the holidays, but now is no time for the novice baker to start experimenting (save it for your New Year’s resolution!). 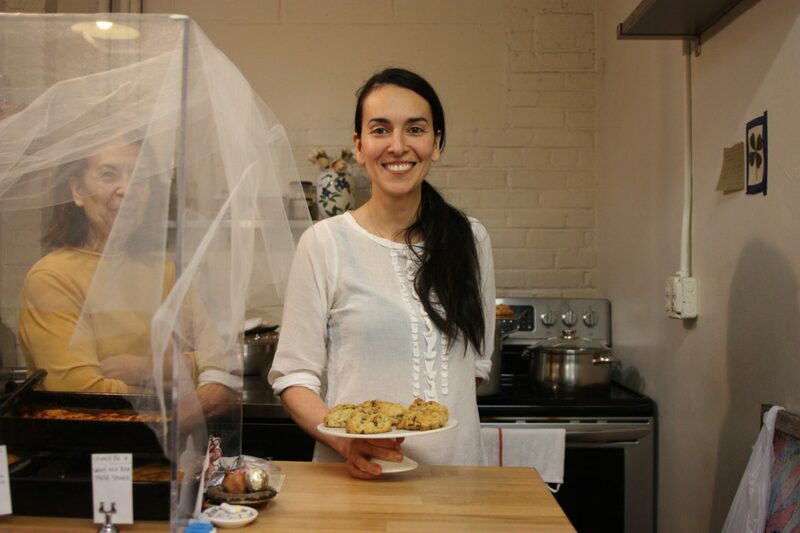 Put your sweets in trusted hands at Boubouki, where owner Rona Economou will whip up one of her famous carrot, pear or chocolate cakes for you to plate and present to those who have been nice this year. It’s easy to get caught up in the more materialistic side of gift-giving, but you can do good and check off your holiday list by shopping at La Tiendita, the stall run by the Lower East Side Girls Club. All their aprons, potholders, bags, and baked goods are made by the young women of LES Girls Club, and your purchases go directly toward funding after-school programs in crafts, music, science, and technology. Plus, everything is adorable! 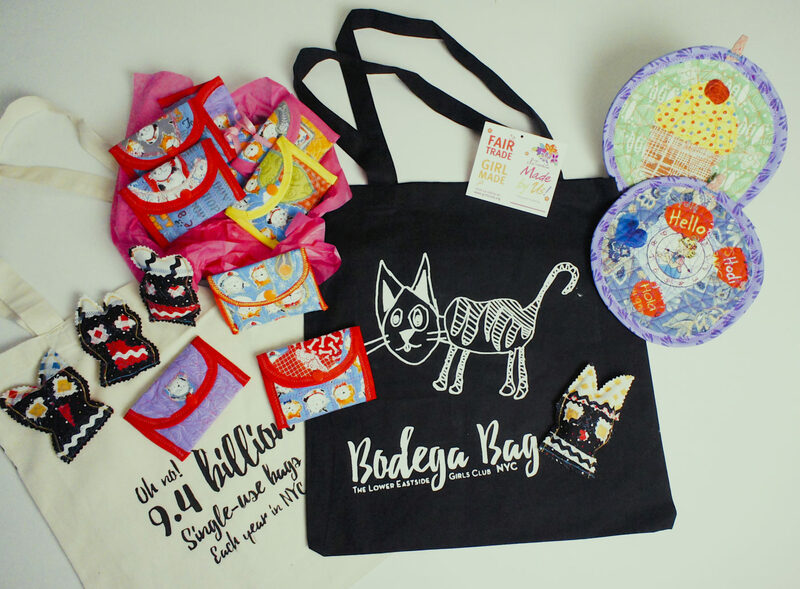 Spend $40 or more and receive one of their silkscreen ‘bodega’ bags to support this nonprofit and the environment. Word on the street is that Santa Claus is a big fan of traditional Nordic cookies and candies this time of year. Our go-to supplier is always Nordic Preserves, who stocks up on these items especially for the holidays. They also carry caviar (!) for those fancy-pants who want to kick off the New Year right. And if you sneak a few cookies for yourself, we imagine Santa would approve.